If you've made it this far, it means you've looked at our Yosemite Elopement Guide, and you've seen that we provide flowers in all of our Yosemite Elopement Packages. 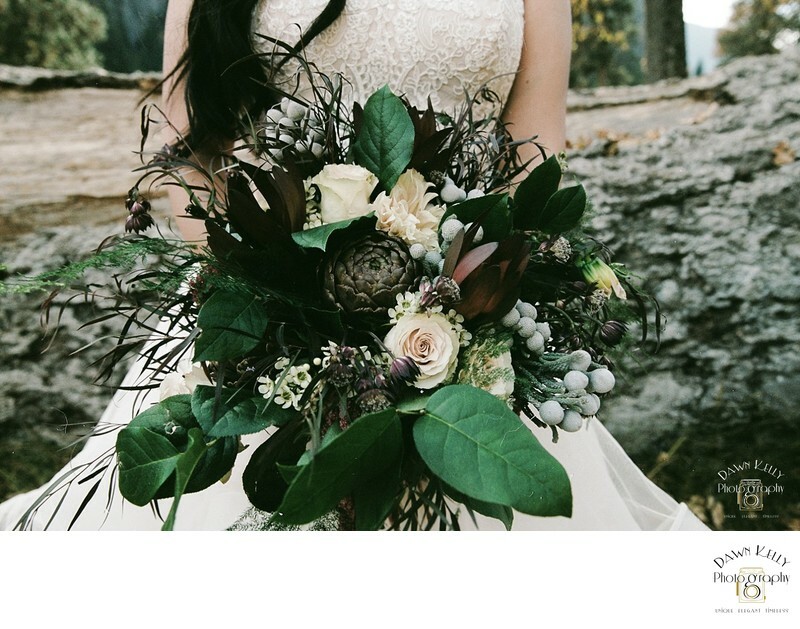 We have teamed up with The Enchanted Florist in Oakhurst, California to provide our Yosemite brides with gorgeous, unique, and luxurious bouquets for their elopements. Jennifer has been a floral designer for many years, and she's an expert at creating perfect bouquets for Yosemite! Her shop is in Oakhurst, which is right outside the park. They even deliver into the park if need be! We make ordering your flowers extremely easy! All you have to do is create a Pinterest board and email it to us, then we forward that on to Jennifer, along with your contact information, and she will reach out to you. We help with your planning every step of the way! So how do our brides get these amazing bouquets? We pick them up on our way to Yosemite and bring them will us! That's right, we deliver them to you! If you order additional arrangements, such as centerpieces, The Enchanted Florist will deliver them. I chose this amazing florist because of her talent and location. Jennifer's designs are unique, earthy, and wild, perfect for Yosemite! She has years of experience designing for Yosemite brides, and nails it every time. She and her staff are a dream to work with, and all of our clients have been thrilled with their flowers!